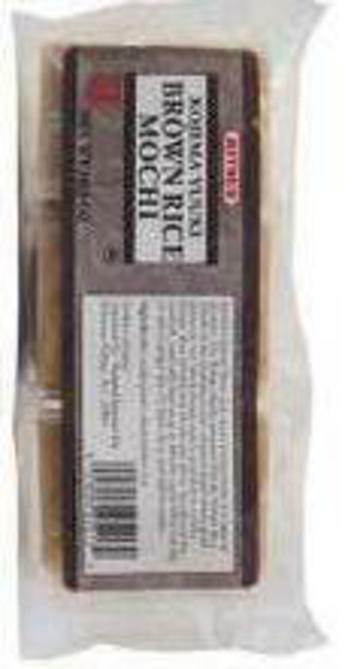 Natural Import Company - Traditional Japanese foods - Mitoku Organic Brown Rice Mochi - 8.8 oz. Mitoku Organic Brown Rice Mochi - 8.8 oz. Ingredients: yuuki-grown whole-grain sweet brown rice. Mitoku Brown Rice Mochi is prepared in the traditional way: steamed whole grain glutinous rice (sweet brown rice) is pounded to a sticky dough, then formed into blocks and dried. When cooked, these "cakes" soften and puff up, becoming delectably moist and chewy. A naturally sweet convenience food with whole grain goodness. Mitoku Brown Rice Mochi is a great mochi for using when you want to add your own flavor, and is the best mochi to use for making up a sweet dish, such as a waffle, with your favorite topping of fresh jam or fruit.